Samara: Umm... I don't really know what you're talking about. 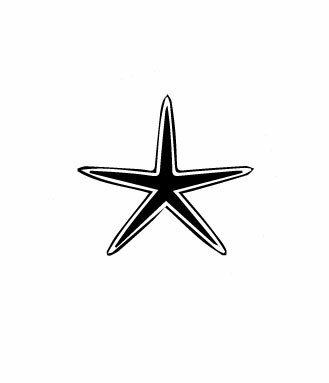 This is the only symbol I know that represents stars, and it doesn't come in different shapes. Looks a lot like that necklace, doesn't it? Joey: OK. Well, ours looks a bit different than yours. Zero: So, how can we find a Warp Key? Samara: Wait, does it come with a circle? Joey:*through microphone* Yes, in the middle. Samara: Of course, where else would it be? On the side? ...Wait, so my suspicions were correct... The symbol you're describing is commonly associated with the Underworld. A star and a circle, layered on top of each other... Unless... Is the star in the circle or the other way around? Joey: It actually just has a circle base with star like prongs attached to it. Zero: Still, where can we find a warp key? Joey: Don't know. Unless...yes...Professor Fitz might have one! But how can we get it? Joey: I'll pay him a visit and ask him if he could give me one, while you fix the machine. I'll be back in 30 minutes. Samara: Wait, so the circle... IS the star? Do we need to look in the reverse underworld or something? I do not understand anymore. Who is this Profesofitz person? Joey: He's a professor here. Sorry you don't know all of this, we are the future. It's hard to explain these terms to someone in the past. Samara: Um... Okay... So do I need to do anything from here? Because if not, I am going to a Shrine of Restoration to resurrect that guy.